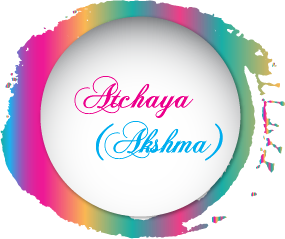 Nakshathra Designz: DT Gayatri - Layout with Chalk Wonders. DT Gayatri - Layout with Chalk Wonders. When I received 'Chalk Wonders' in my DT kit, the first thing that came in mind was to try a mixed media layout. This is just baby steps. I mixed two pattern papers and created the background with stencilling, color sprays, laces and chip boards. I added few handmade foamiran flowers. The sentiments are also from the paper pack. Here are some pictures of the layout.